Everything that made the original a classic has been left out of this live-action remake. Dumbo, the most recent instalment of Disney’s live-action remakes of their animated classics, is yet another attempt to recreate a beloved childhood film for many and profit off an entire generation’s nostalgia; whilst it may have worked with 2016’s The Jungle Book and 2017’s Beauty and the Beast, the studio probably wish they hadn’t bothered this time round. By transforming the 1941 animation into a live-action film, combining live actors with CGI animals, any charm that the original film held has been all but lost. Nearly everyone is familiar with the tale of Dumbo the flying elephant. I profess that the original Dumbo film was not one I watched often, unlike many other Disney classics, mostly due to my finding it incredibly sad. However, there are certain elements of the film which are memorable and make the film timeless: Mrs Jumbo’s love for Dumbo is unforgettable as she rocks him whilst singing ‘Baby Mine’, Timothy Mouse helping the young elephant find the courage to fly, and my personal favourite scene, a group of loud-mouth crows singing ‘When I See and Elephant Fly’. The 2019 incarnation has done away with all of these. Mrs Jumbo being cruelly wrenched away from her son, though uncomfortable to watch in both versions of the film, feels rushed this time when it should be one of the most poignant moments, crucial in the film’s narrative. Even the brief rendition of ‘Baby Mine’, sung here by a member of the circus troupe as the animals do not speak, is not as heart-breaking as it should be when the original was a tearjerker every time. Timothy Mouse is not present at all; though a remarkably similar mouse makes a couple of appearances, it plays no role in the film’s plot whatsoever and is nothing more than a visual throwback to the 1941 animation. Timothy’s role is, instead, taken over by a couple of children, Milly (Nico Parker) and Joe (Finley Hobbins), the children of war veteran and widow Holt Farrier (Colin Farrell), who all live and work at the travelling circus in which Dumbo is born into. The children are the ones responsible for teaching Dumbo how to fly here, but unlike with Timothy their relationship with the elephant feels unrealistic (as much as one can say that of a film about a flying elephant) and lacks the heart they are clearly supposed to convey. As for the crows, unsurprisingly their number is cut from the film entirely, though the lyrics are spoken by a circus performer introducing Dumbo’s act. The original animation worked because humans were very much part of the background; the circus troupe and ringmaster are present, but the core of the story lies very much with the animals. Taking the narrative and placing humans more at the forefront, giving them more of a backstory and more significant roles, just does not work, mostly because it is difficult to feel much empathy towards these underdeveloped characters, of which there are many throughout the film. The only character who is truly likeable is the owner of the travelling circus, Max Medici, played by the brilliant Danny DeVito. Even when he is persuaded to work for the villainous V. A. Vandevere’s (Michael Keaton), who wishes to profit off Dumbo by displaying the elephant at his theme park, Dreamland, you never feel that Medici is ever wholly to blame for his mistakes throughout the film. It speaks volumes that the comic relief character, in a film which is generally meant to tug at the heartstrings, is in fact the star performer. Tim Burton is a questionable choice as director, giving the film a darker tone than it really needs. The 1941 animation is undoubtedly a film of its time, and in 2019 it is difficult to portray circus animals in the same light. 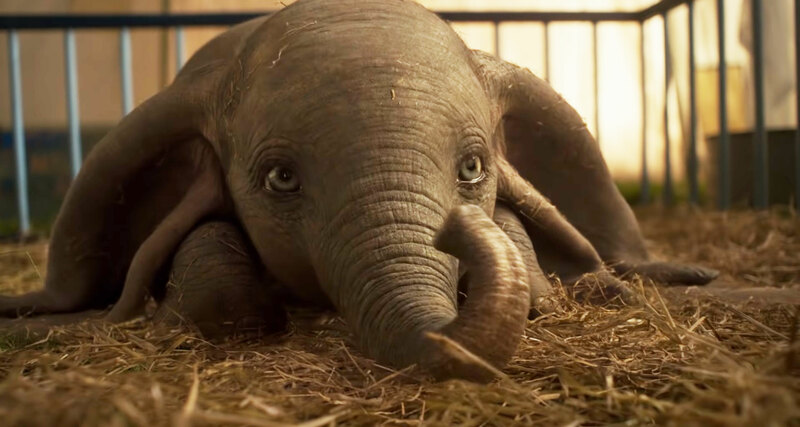 Admirably, the adaptation modifies the ending: after nearly a full hour and a half of animal abuse, Dumbo and his mother are freed from captivity, advocating animal welfare, rather than Dumbo becoming a successful circus act and he and his mother living in (questionable) luxury, as in the original. Yet ultimately the 2019 film does not deliver the same emotion as its predecessor (though I will admit that seeing Dumbo take flight for the first time did make me well up, which I will put down to nostalgia). The original Dumbo is simply not a film that anybody would ask to be revived in this way: we can only hope that this summer’s hotly anticipated, live-action The Lion King will fare better. Dumbo, directed by Tim Burton, is distributed in the UK by Walt Disney Studios Motion Pictures, certificate PG. Literature Executive 2018/19. Third year English and History student. Lover of Hobbits, theatre and tea.